Want these sent to your inbox? 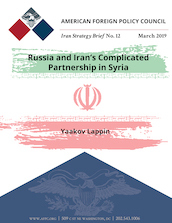 In 2015, Russia formally entered the Syrian conflict, becoming the Assad regime’s second sponsor, alongside Iran. The grounds for that intervention, we now know, were laid at a 2015 meeting between Russia’s Foreign Minister, Sergey Lavrov, and Iranian Supreme Leader Ayatollah Khamenei. Silk Road Paper: Modernization and Regional Cooperation in Central Asia: A New Spring? As Central Asians seek to design structures of cooperation that fit their needs, they should certainly build on the achievements of the late 1990s. 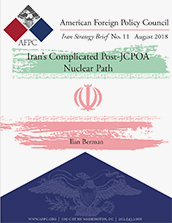 In the aftermath of President Donald Trump’s May 8th decision to formally end America’s participation in the 2015 nuclear deal known as the Joint Comprehensive Plan of Action (JCPOA), there has been significant speculation about potential responses on the part of the Iranian leadership. 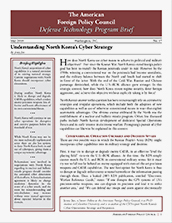 How does North Korea use cyber means to achieve its political and military objectives? Ever since the Korean War, North Korea’s stated foreign policy goal has been to reunify the Korean peninsula under its rule. Among the Islamic Republic of Iran’s central strategic goals are the preservation of its political regime and its ascension to what it views as its rightful place as the regional hegemon of the Middle East.